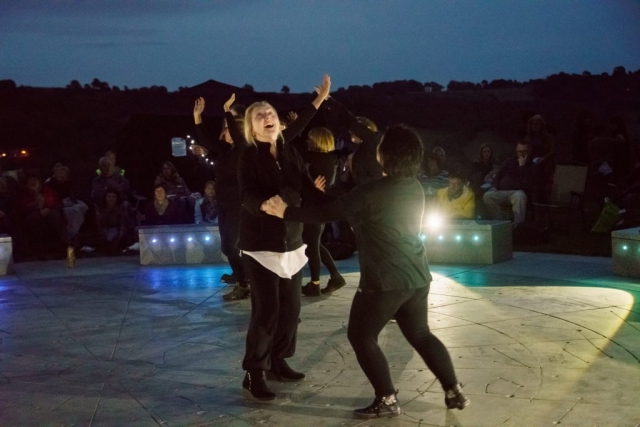 Home » Projects » Wirksworth celebrates stories at star-studded weekend! 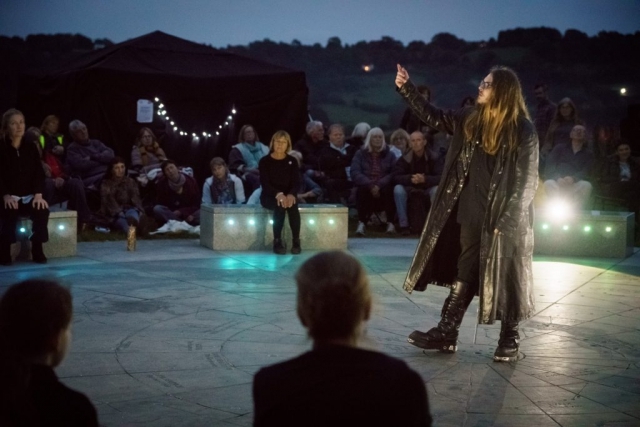 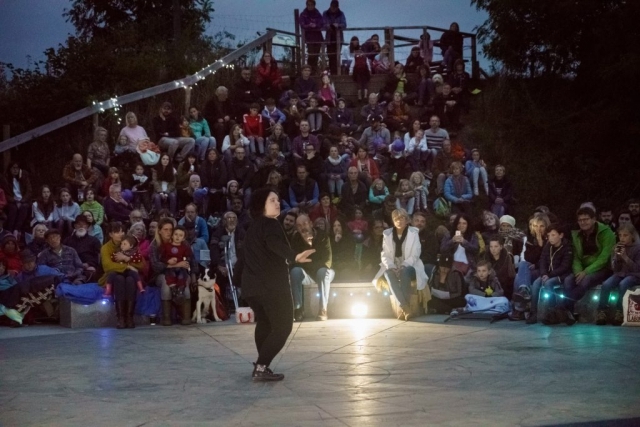 More than 250 people gathered at Wirksworth’s magnificent celestial amphitheatre, the StarDisc for the Stars and Stories performance on Saturday night – more than we ever imagined at the beginning of our year-long journey. As part of Wirksworth Festival 2018, we were delighted to welcome so many people to enjoy some of the fruits of this project with Derbyshire Virtual School, which has involved over one hundred young people in care and care leavers as well as families and support workers, Creative Mentors plus professional storyteller, Maria Whatton and astronomer, Nick Spall. 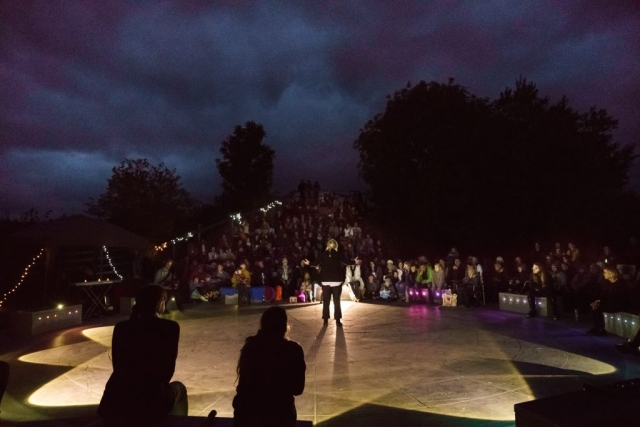 Eleven young people were involved in creating ideas and shaping Saturday’s performance– and several of them went on to take part in Altitude – Youth Music and Arts Festival the next day, sharing stories and music again with crowds of young artists from across Derbyshire – what a weekend! 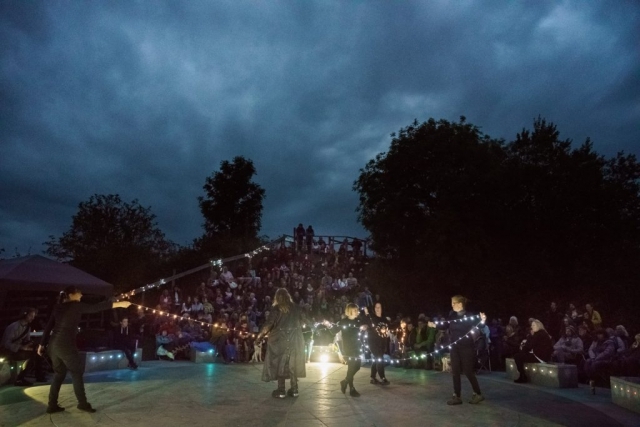 It was fabulous to see so many friends, supporters and family at the StarDisc, enjoying a blend of new and traditional stories, music and movement, local legends including Flora of Grindleford alongside tales of constellations inside our mini planetarium. 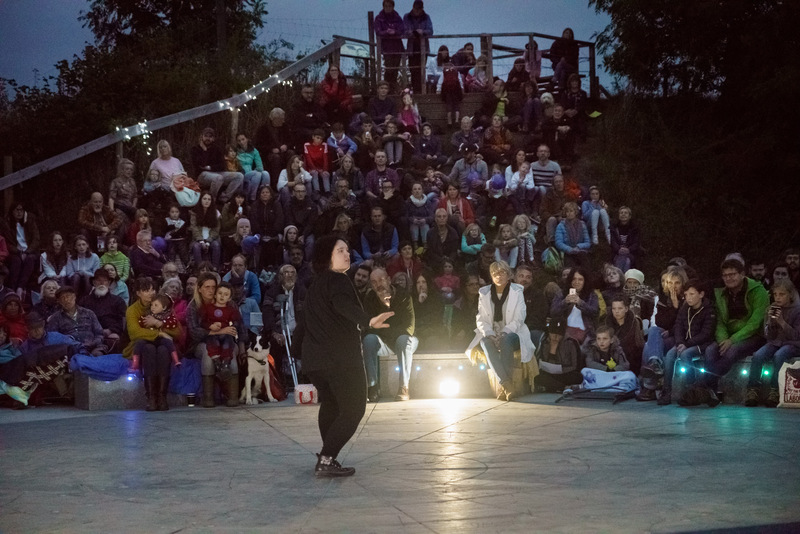 Special shout out to the young people in the audience who were part of the creative team and to storyteller Christine McMahon, who visited children’s homes across Derbyshire to start this project off and made a special return visit on Saturday. 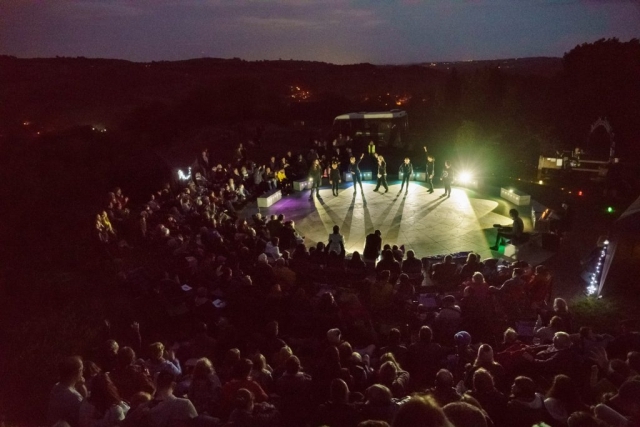 Plus thanks and well done to everyone who wound their way through the woods and up Wirksworth’s steep hills to visit the StarDisc for the first time – we know they’ll be back! 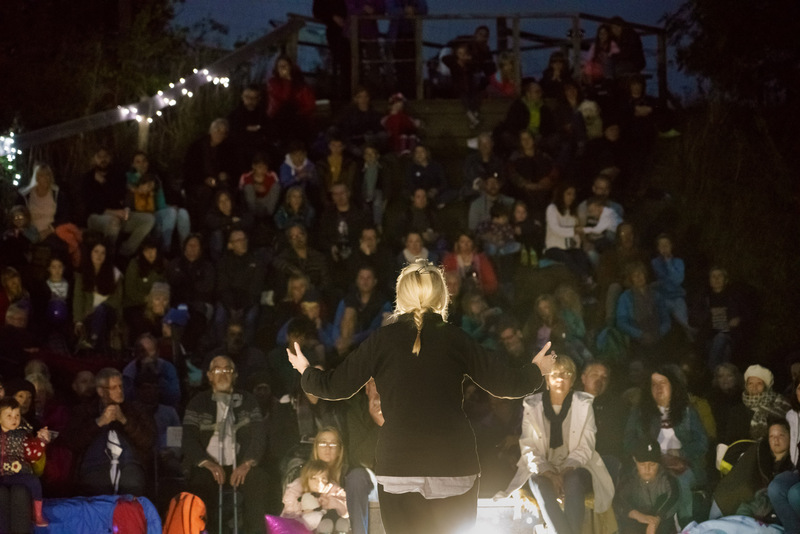 When the clouds parted for a moment, a lucky few took the chance to look at the Moon’s craters through a telescope – spectacular to see our closest celestial neighbour up close! 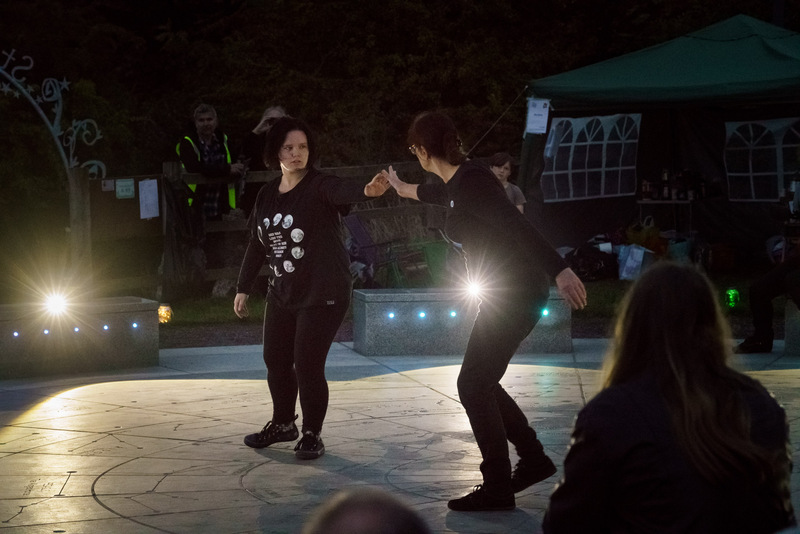 With such a successful event at our backs, we’re excited to discover what happens next for the young participants and will be catching up with them soon to hear what they’d like to do next. The Stars and Stories project was made possible thanks to a partnership between Derbyshire Virtual School and Adverse Camber, with significant funding from Arts Council England plus Cooperative Community Dividend Fund, the Royal Astronomical Society, Tesco’s Bags of Help, Scopes4SEN, Foundation Derbyshire, Walbrook Trust, William and Griselda Kerr Fund and the National Space Centre. 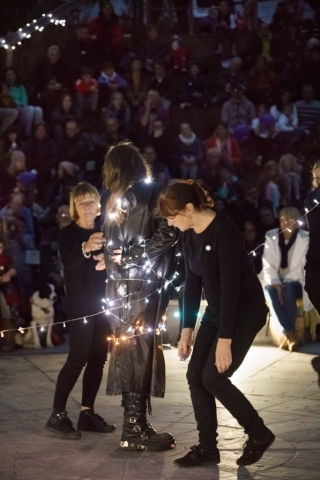 Read more about the Stars and Stories project on our website.